Mark is a psychological mind reader, who astonishes audiences with a sophisticated mind reading act that breaks the ice, and gets guests laughing and talking. What is a Psychological Mind Reader? Mark Cairns performs primarily as a psychological entertainer (in other words, what is more traditionally called a mind reader or a mentalist). Working close up with guests, he puts on a show designed to appeal to sophisticated and intelligent audiences. The key thing that Mark brings is a relaxed sense of fun - the emphasis is not on "fooling" or embarrassing people but, instead, on ensuring that guests have a good time while being left intrigued and astonished by the mind reader's demonstrations. Mark doesn't claim to be psychic - his skills as a mind reader are based on an exciting combination of learned techniques, his extensive experience in applying them, and on the natural intuition that we all possess to a greater or lesser extent. "I have seen several "close-up magicians" before but all have relied solely on card tricks and making coins and/or sponge balls disappear. It was therefore a real treat to enjoy Mark's style of psychological mind reading performed close up and I must say it was certainly impressive, original and extremely entertaining. When you see such things performed on TV you always have the feeling there is some sort of collusion involved – so seeing it happen in front of you is quite mind blowing." 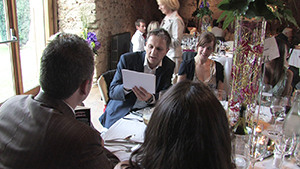 Instead of performing magic 'at' your guests, Mark entertains them in an interactive way. 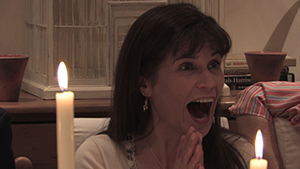 Guests are heavily involved in the mind reading and, as Mark begins to read what they are thinking and influence their actions, the reactions from guests vary from laughter through to complete astonishment. Mark uses many techniques to achieve his effects, which guests can find as fascinating as the results, and these are often the subject of discussion weeks after the performance. "I've been telling loads of people at work about Mark's act in the hope someone might be able to shed light on how he managed to do what he does. I've read a few books on conjuring and understand that most magic tricks are a combination of manual dexterity and very cleverly designed props, but I cannot work out how Mark manages this psychological stuff. If it's anything to do with NLP or reading body language then I pity his partner in life as they would never be able to out-guess him!" Performing as a psychological mind reader, Mark appeals to an audience's intelligence, rather than patronising them by making them feel foolish. A less personable mind reader could come across as dry, serious, or even unsettling. But Mark entertains in a reassuringly relaxed, warm and friendly fashion. The focus is on the group of guests themselves, rather than solely on Mark, and this makes Mark's mind reader act an excellent stimulus for conversation and an ideal hospitality ice-breaker. "It is always a challenge finding something different, but Mark's act certainly fit the bill! He was great fun, and his skills as a mind reader were amazing! Mark had just the right mix and paced his routine perfectly over the course of the lunch." Mark's skills as a mind reader are flexible enough to allow you to choose between many different formats depending on your needs. For a small group he can present a parlour act and for larger crowds he can deliver a cabaret style floor show, or even a large format stage show. 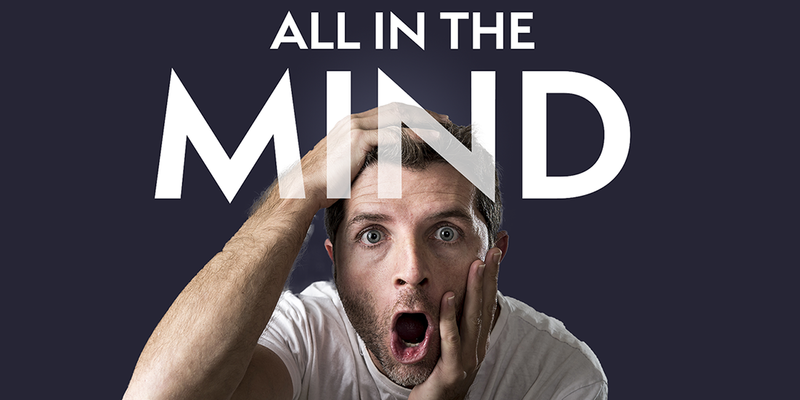 However, the benefit of hiring a specialist mind reader comes into its own when you need the ultimate in flexibility. Unlike many other magicians who offer mind reading as an extra, Mark is one of the few who will read your guests' minds up close and personal, exclusively performing mind reading while mixing one-on-one with guests. Close up magician Mark Cairns is one of very few close up magicians for hire in the UK who uses the "close up" approach of more traditional magicians to deliver his intriguing mind reading act to your guests individually and interactively. Close up magicians provide modern interactive entertainment that stimulates laughter and conversation - instead of drowning it out. Here are some of the benefits that the mind reading of close up magician Mark Cairns will bring to your event. 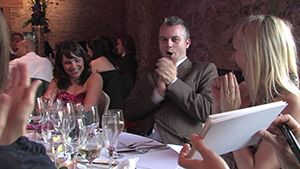 Rather than performing on stage, close up magicians such as Mark visit your guests at their table or as they socialise. For most it's a new experience; having a close up magician perform under their nose instead of on a TV screen. Having their thoughts second guessed is an experience that guests don't forget quickly. 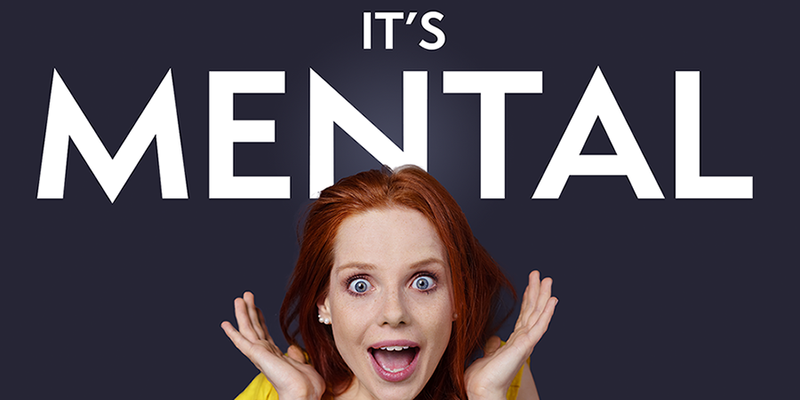 Even if they have seen close up magicians before, your guests are very unlikely to have witnessed anything like the sophisticated, intriguing and uniquely entertaining brand of close up psychological mind reading that Mark specialises in delivering. Reaction at the table to this close up magician's unique act ranges from laughter and hilarity through to gasps of astonishment. "It's a real challenge being close up to the audience", says Mark. "You need to be able to think on your feet, working only with the things you carry in your pockets and making changes to your performance on the fly, depending on what the audience is reacting to." 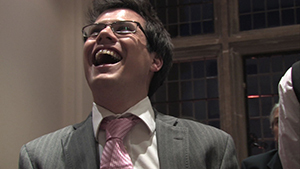 Visit the Clients page to read about reactions to Mark's close up magic. 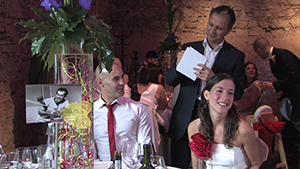 A close up magician is a highly versatile form of entertainment, with Mark able to move smoothly from one group of guests to another, filling in any low spots in the function. Read the 'How To...' section for advice on using and hiring magicians. Because close up magicians work to small audience groups, professional magician Mark Cairns is able to involve your guests in a way that most traditional forms of entertainment just don't allow for. Rather than just being performed "at", your guests are gently drawn in by Mark's close up performance - even to the point where they become the ones creating the miracles! In an age of digital entertainment, close up magicians remain one of the few true interactive forms of entertainment available to a function organiser. 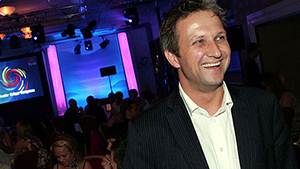 Contact Mark today to discuss how you can make this year's event a big success.